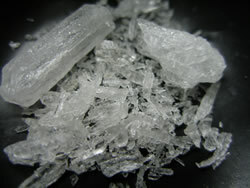 Meth, or methamphetamine, an addictive stimulant that is long-lasting and toxic to the brain. 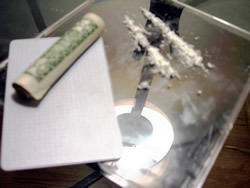 Though it is similar to amphetamine it has far more dangerous effects on the central nervous system. 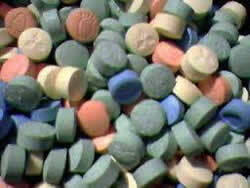 It is a psycho stimulant of the amphetamine class of psychoactive drugs. Pseudoephedrine, red phosphorus, hydriodic acid and Hydrogen Chloride gas are used to produce Meth. Meth is a stimulant that causes the body to release ten times its normal level of dopamine, the brain’s pleasure chemical. Dopamine affects the part of brain responsible for emotion and cognition. The first couple of times a meth user gets high are due to the decision made in the brain’s prefrontal cortex, which handles voluntary actions. By the third or fourth time, research shows, the decision to take meth moves to the hind brain, which controls involuntary functions, such as breathing. Meth probably has the maximum number of street names. These are: Crystal, Crystal Meth, Chalk Dust, Meth, Ice, Speed, White Cross, Super Ice, Quartz, Dunk, Rocket Fuel and many more. The predominant dangers are developing high blood pressure, cardiovascular collapse and stroke. Meth users can be found equally among both women and men and the abuse occurs across rural and urban boundaries. 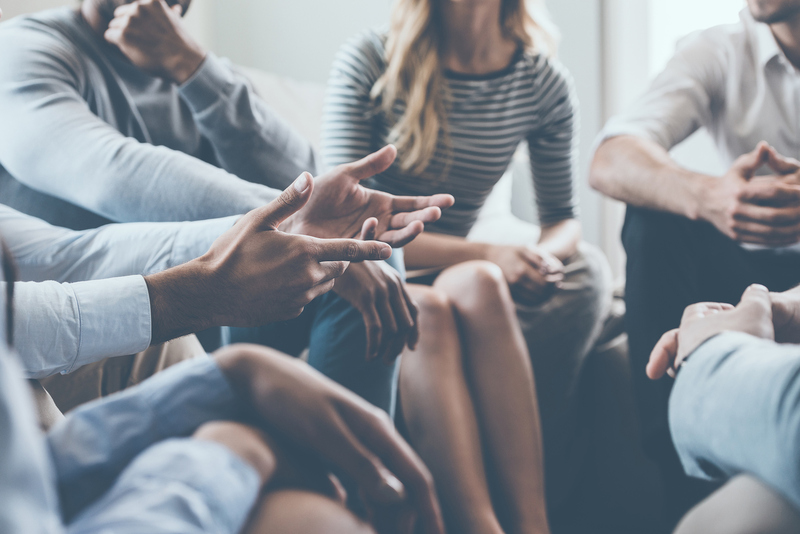 National Institute on Drug Abuse has found that over 12.3 million Americans age 12 and older have tried meth at least once and women are more inclined to pick up meth than cocaine. It is the athletes, High school and college students, white, blue-collar workers and men and women in their 20s and 30s who are jobless are affected. 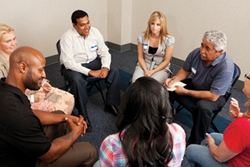 Generally there are two types of Meth rehab. 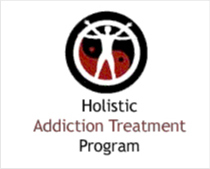 Inpatient rehab is the best for the initial phase of detox where you will have withdrawal symptoms and will need critical care. The outpatient is most suited for those who are working or cannot take a break and stay at the facility.